Even though the year is ending, most things will continue after the clock strikes 2017. But not all of them. 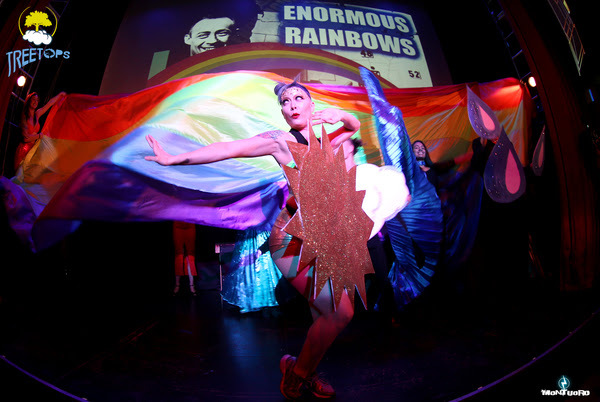 The queer nightlife collective known as The Culture Whore is saying goodbye not only to 2016 with their New Year’s Eve space-rodeo rave, “Night Riders.” The blowout will be the group’s final party, as they are disbanding. Sometimes, when you go to a party, you want to leave your brain behind (the practical parts, at least) and just dance. Others like a bit more cerebral engagement. But just because a party makes you think, doesn’t mean it’ll also be stuffy or boring. Enter Treetops, whose parties have a proclivity toward wacky, interactive themes and quality music to keep you movin’. This Friday, the group is bringing its First Annual Mad Science Fair to House of Yes. There are three things that are really difficult to do in Manhattan (in ascending order): maintaining a bar, maintaining a music venue, and maintaining your weirdo energy. Impressively, Berlin, the Avenue A booze/music bunker, has been doing all three for a year now. To celebrate, the literally underground spot— known for its musically inclined clientele— is throwing a two-night-long party complete with performances by Berlin’s owner and glammy garage rocker Jesse Malin and his friends. Dozens of women and femmes will descend upon the Good Room in Greenpoint this Thursday to party until that oppressive cis-white-male toxic-masculinity is done for. Or at least they’re gonna try. 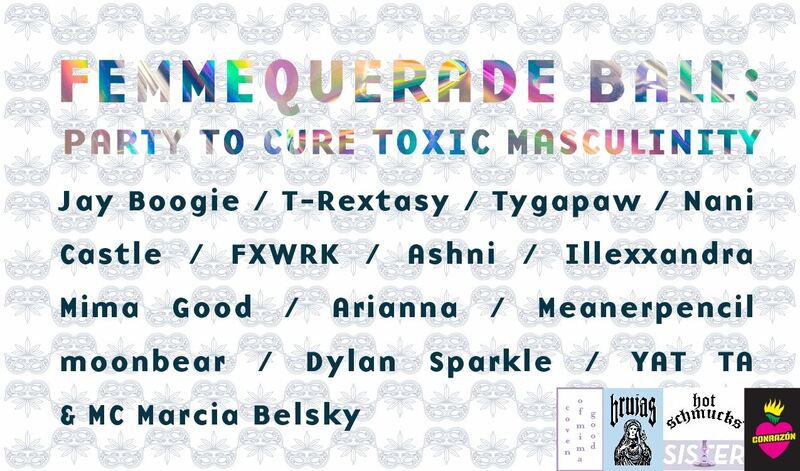 The Femmequerade Ball, a fierce feminist bash filled with DJ sets, performances, and lots o’ partyin’, is the brainchild of Raechel Rosen (aka Mima Good, best known for leading her eponymous witchy music group, The Coven of Mima Good). 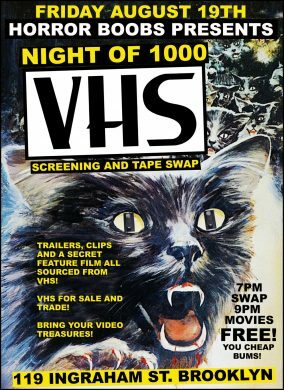 It’s co-hosted by Brujas, the Bronx-based all-woman skater crew that won some pretty legit attention from a recent profile in the New York Times, as well as an inclusive electronic-music collective known as Sister, and a satirical “art-bro” duo called Hot Schmucks.